During the drive from the airport into Denver last week I spotted something on the horizon in the evening twilight. It looked like an ocean liner or an offshore oil rig. I was intrigued. I wanted to get closer and see what it was. As the car twisted along the highway I got a slightly different perspective from another angle and it looked like Mont Saint-Michel on the prairie. What was it? I had to go back a couple of days later and explore. Turns out, it’s a 1,500 room hotel. 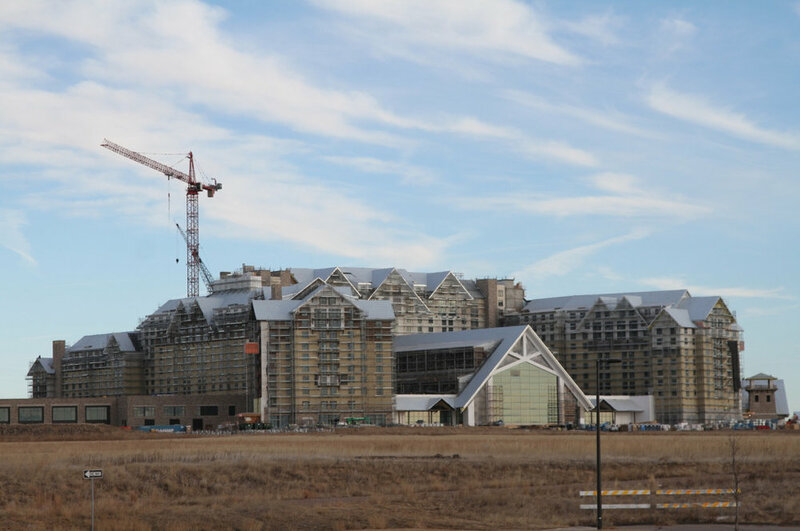 In fact, it’s a destination resort hotel and convention center complex complete with every imaginable bell and whistle including an indoor/outdoor water park, 10 restaurants, and a sports bar with the largest television screen (75′ x 14′) in the state of Colorado. 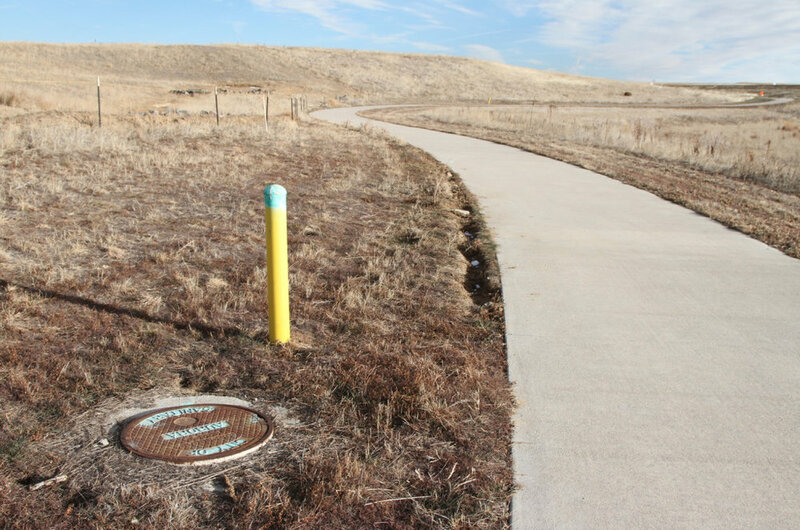 I poked around a bit and discovered the project received an $84.1M package of subsidies from the regional tourism authority plus $300M in tax breaks from the city of Aurora (a suburb of Denver) and another $800M in sweeteners over 30 years using a special process. Basically, the land under the hotel was designated a unique tax zone with its own hotel tax. 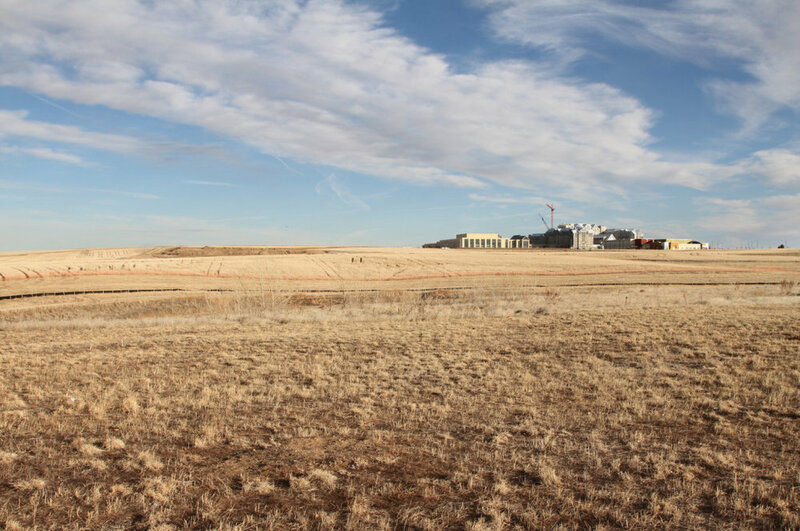 The city of Aurora will collect that tax and then give the money back to the hotel over the next three decades as part of the inducement to build the facility. The hotel owners said the project would never be viable without these incentives and special financial arrangements. The city said the new hotel will be an economic engine that will pay for itself and drive growth, employment, and development for decades. The territory around the hotel is, in fact, rapidly being transformed into a collection of large new communities that will ultimately house hundreds of thousands of people. The construction of this many properties really does create a significant number of new jobs and generate indirect tax revenue of various kinds. 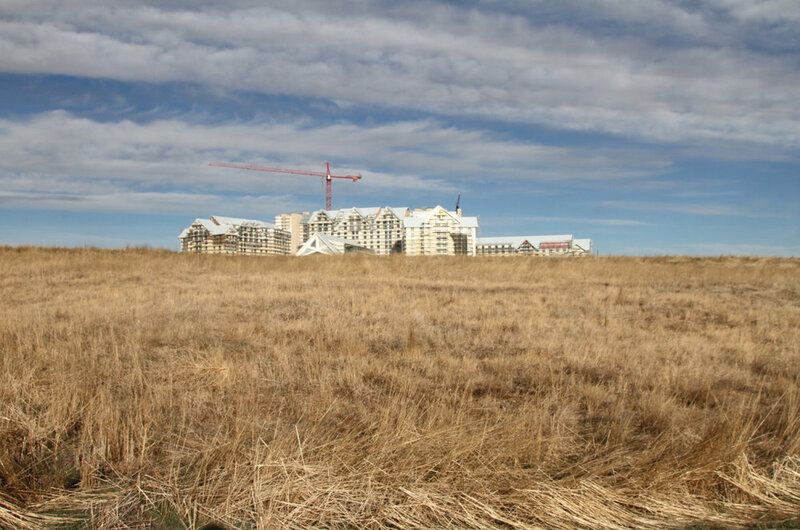 Along with the housing subdivisions springing up on the prairie there are dozens of commercial pods with a heavy emphasis on smaller less extravagant hotels. There are already a lot of these places up and running, and more are being built in every direction. Evidently there’s no end to the number of visitors expected to fill these rooms for the foreseeable future. And of course the chain restaurant pods and suburban strip malls are emerging along the sides of new arterials just as planned. This is growth as desired. Light industrial facilities and commercial warehouses are being tilted up to service all the growth and expansion. 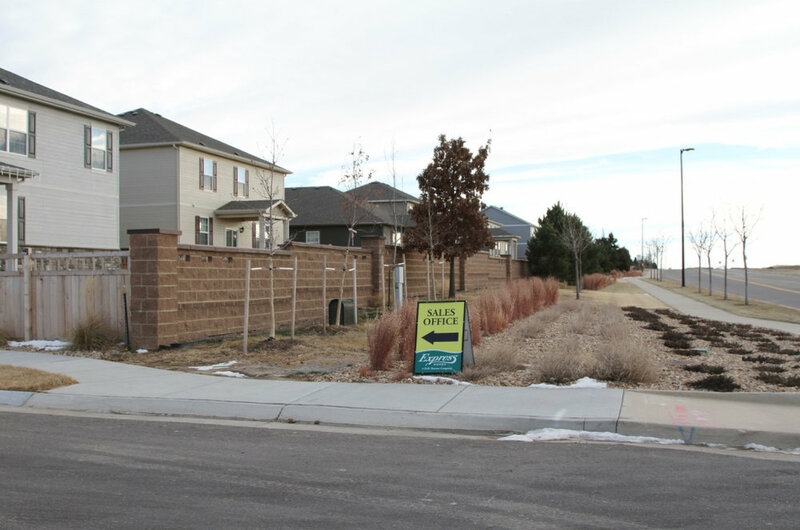 Multinational corporations are setting up shop in the area to feed off — and contribute to — the boom in the Denver metro. 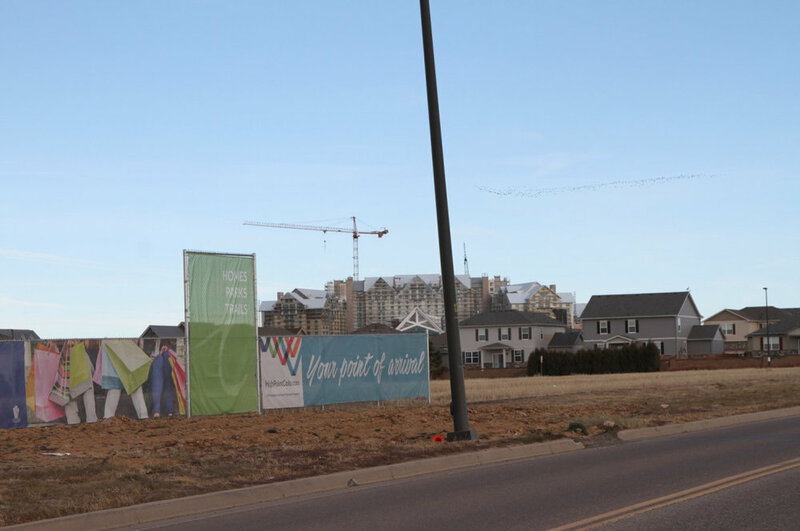 And just in case anyone is concerned that all these new developments might be completely car dependent sterile suburbs… the New Urbanist mixed use clusters are underway out on the prairie penumbra complete with regional light rail. I love talking to engineers who build these places. They’re pragmatists. They know how things work in the physical world. I asked one guy where all the water to service this massive development was coming from. “The city.” I gave him the look. He knew perfectly well what I meant. He smiled. That’s a political question. Not his job. Although I’m confident that if the city were to come back in a few years he’d help engineer more water — for a price. As they say, water flows uphill toward money. 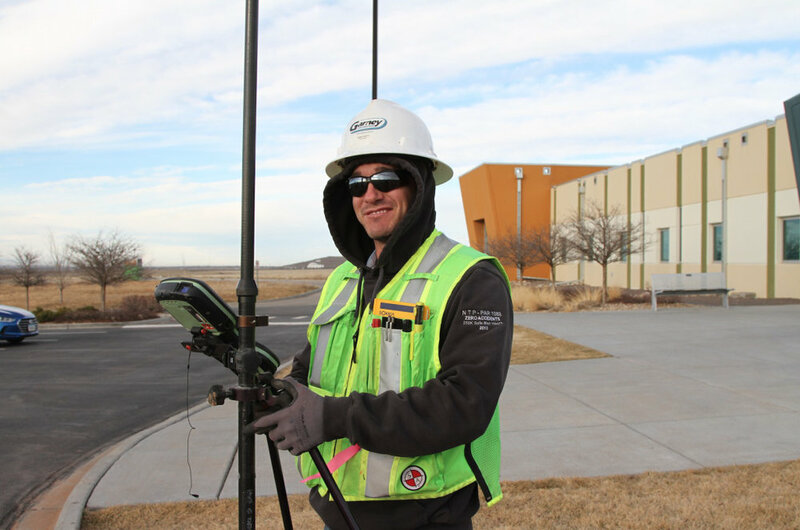 He and his colleagues were asked to build the pipes, lift pumps, electrical substations, and fuel pipelines that would keep water flowing in, keep sewerage flowing out, keep the lights on, and ensure everyone is toasty warm. They’re really good at what they do. All it takes is an army of professionals, political will and endless cash infusions. 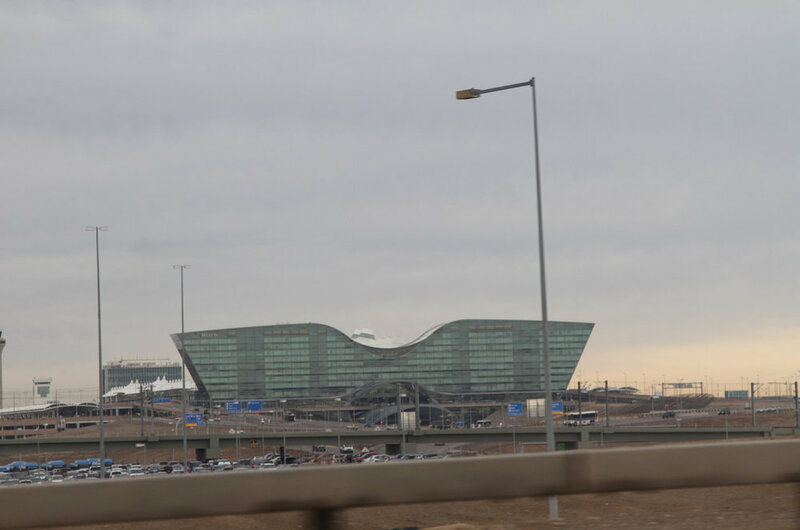 Just off to the side of all this new construction is Denver International Airport. The airport was conceived and built specifically to drive growth and development of precisely the kind we’re now seeing. And Denver didn’t skimp. At 54 square miles, the entire city of San Francisco could fit inside of it and there’d still be five miles left over. It’s huge and it’s still expanding, with its own new hotel complex attached to the main terminal. Let’s fast forward thirty years. All around the hotel instead of open prairie there’s a city that’s completely built out. The trees have matured. Children have been raised up and the original inhabitants are approaching retirement. The residential subdivisions might retain their desirability. And we all know what the eight lane arterials will look like once the gas stations and burger joints ripen. Uninspiring, but harmless. But what becomes of the old hotel? The special financial arrangement with local government has expired. The complex has been through 30 Colorado winters so the roof needs to be redone and the concrete is spalling. The doors and windows all need to be replaced. The heating system is shot. The exterior skin is delaminating. All the interiors have the same sad dated look as a 1970s Las Vegas motel. The water park and grand ballrooms have seen better days. 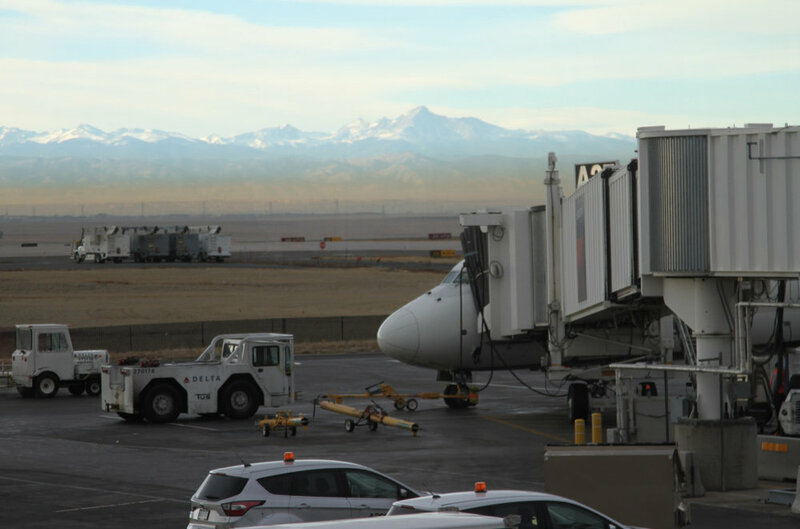 And for a long list of reasons, we can’t currently imagine tourists just aren’t flying into Denver in the same numbers they once did. Business is down. Way down. And all the new money and smart young talent is flocking to that fashionable mecca with the explosive growth that stole Denver’s thunder — Sioux Falls. This isn’t an academic question. Cities all over the country are grappling with this exact question right now in regard to the big projects that were built decades ago with the promise of employment, tax revenue, and prosperity. The biggest projects always require the heaviest subsidies, and it never ends. These questions are currently irrelevant in Aurora. No one asks them — or perhaps the questions fall on deaf ears. In 30 years, many of the people who put this deal together will be… dead. Denver is in the growth phase. Everyone loves growth. Why muddy the waters with ridiculous speculation? Did I mention the largest TV in the state of Colorado? 75′ x 14′! Amazing! There is no way to sustain a city over time without building wealth within it. That is why a Strong Towns approach is critical.